I don’t often post many wear-to-work inspired ideas on the blog. You guys always seem to respond really well to my more casual and laid back looks, so that is what I tend to stick with sharing. But because dressing for work is such an important part of our wardrobes, I want to start infusing a few more of these posts into the mix. That said, when I am looking for things to wear to work, I like to try and invest in classic and timeless pieces that I can style a lot of different ways. I also travel a ton for my job, so I also tend to gravitate towards fabrics that pack well and wear well on an airplane or in a car. And of course for me, even though I have to dress “business casual” the majority of the time, comfort still plays an important role in my workday wardrobe choices. 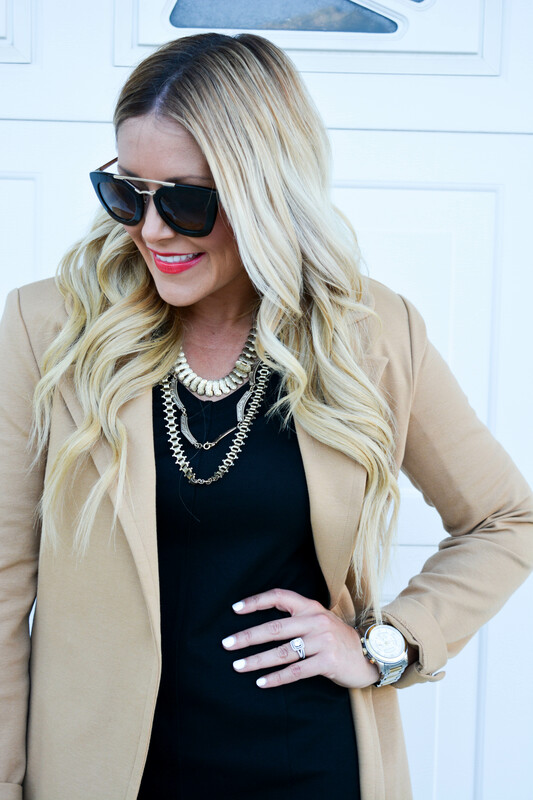 So if you are looking to improve or expand upon your current 9-5 wardrobe, but aren’t sure where to start, two staples that I recommend for every working girl? 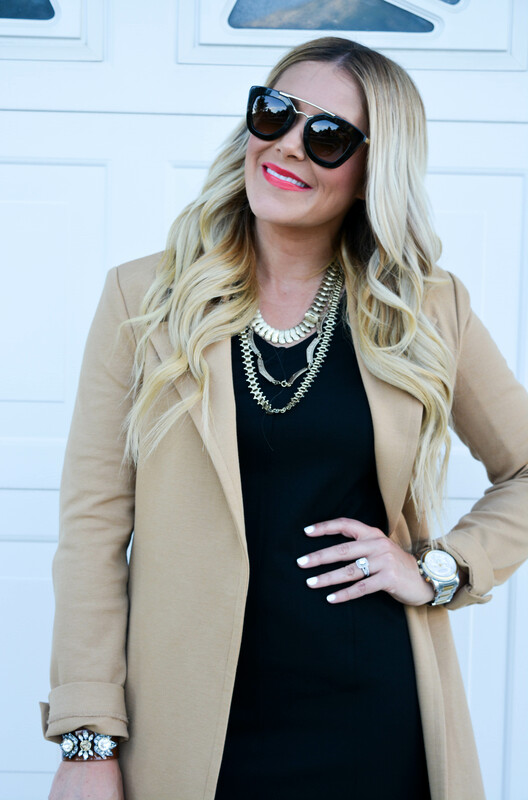 A go-to black dress, and a classic camel coat. And don’t forget! If you want to try my Prada Sunnies (or any of my favorite Karen Walker sunglasses for that matter!) you can rent them for ONE MONTH FREE! After that it’s $19 a month for as many or as a few months as you would like! So if you are like me and love designer sunnies, but hate the crazy price tag, this is definitely the way to go. Stop by Ditto to browse their AH-mazing collection and use code: ALLDOLLEDUP at check out to retrieve your free month! !